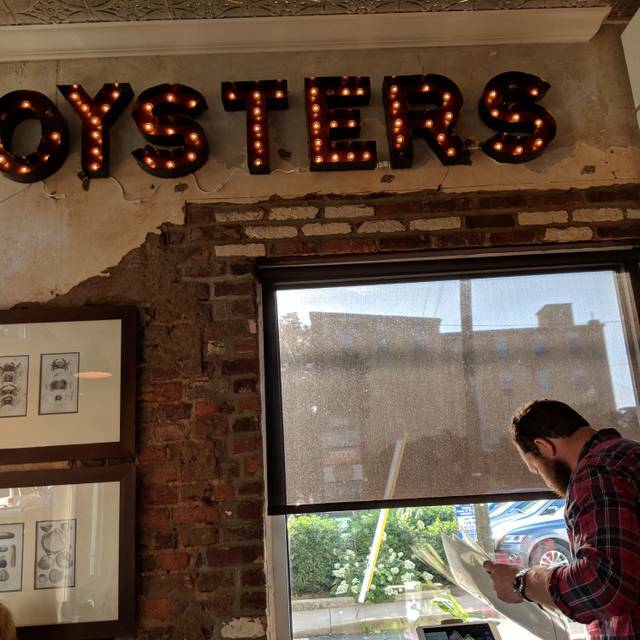 You must make reservations at least 5 minutes in advance of the time at Public Fish & Oyster. Parking is available in our shared lot adjacent to the restaurant. In addition there is ample street parking and a free city lot a block away in the Ambemarle Hotel lot. Bus line and trolly service right outside our door. Public Fish and Oyster serves only the freshest and responsible sourced seafood. 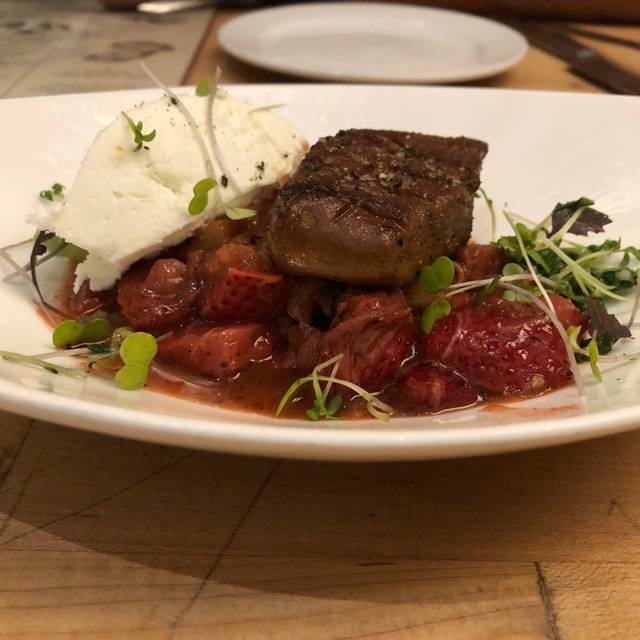 We believe in the complete dining experience and our knowledgeable staff is eager to provide you with the best dining experience Charlottesville has to offer. Great atmosphere. Casual, but food was excellent, well prepared, creative, and well presented. Fun place, a little crowded and hectic, but in a good festive way. Always great service and food. And a nice selection of oysters. 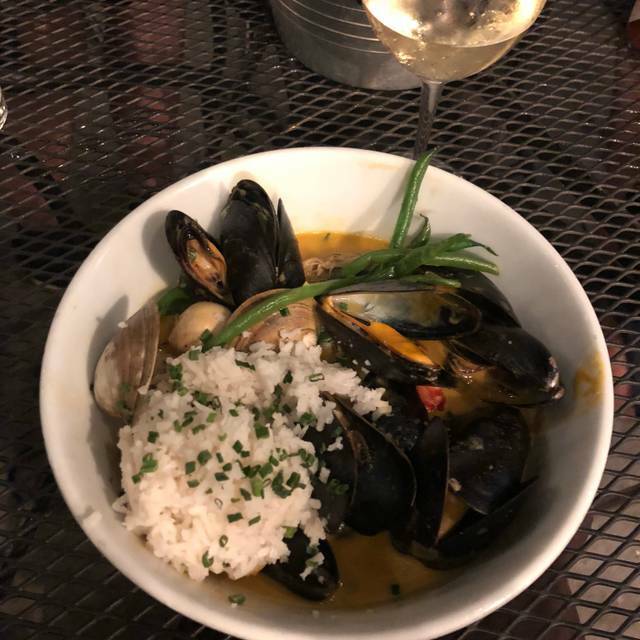 Mussels are great as well. We hadn’t been a a few months. It was loud and upbeat..and early. We sort of brace ourselves for spotty service at times (prior two times it was off or slow) but our server was great. The special butterfish was a refreshing change, especially as it was prepared. Everything was good! Our favorite place in Charlottesville - great oysters, great appetizers, great meals and desserts. And the service is quick and accommodating. Recommend highly! Way, way, way, way, way too noisy! Did I say it was too noisy? Sorry, won't be back. My husband had the oysters and said they were the best he's ever had. Our first visit & we will definitely return. Gorgeous night to sit outside on the patio. I had the clam chowder, my husband had a dozen fresh oysters, then we shared mussels & French fries. Everything was absolutely delicious. & our server, Melissa, was very professional, knowledgeable & friendly. Can’t wait to return & try other tempting menu offerings. We enjoyed attentive service from Karen. 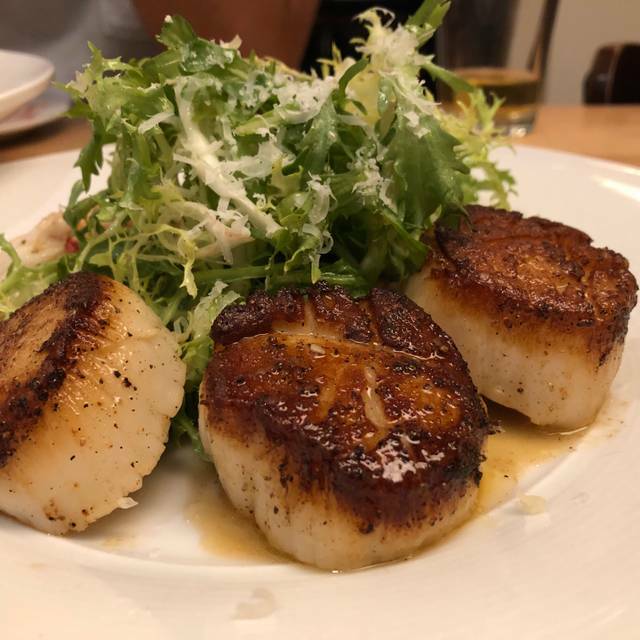 She listened to our concern for a garlic sensitivity and made a wonderful recommendation of the scallops. Our meals were absolutely the most delicious! You must go there! PF&O is always a treat! The oysters are outstanding, and the staff is so knowledge about them. The service is always top notch. Particularly Cameron! The food and service was excellent. it is a little too noisy for my taste. Delicious Seafood done very well. 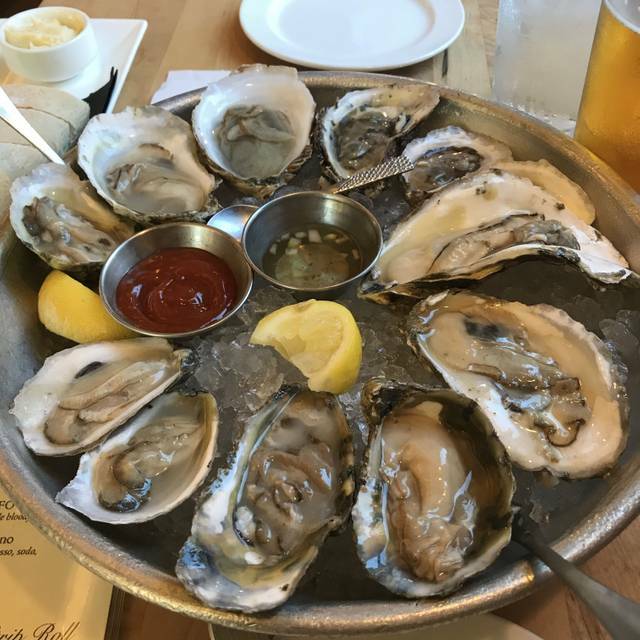 We started with the oysters and had a variety, they did not disappoint, next was the clam chowder, hearty, creamy and full of clams, large portion size as well, excellent! We split the seafood steam pot and all of the seafood was perfectly cooked, simple and delicious. Was not a fan of the sausage patties in the mix, seems sliced sausage would have worked better. Our outside waitress was very cold, when I asked her what she thought about us sharing the steam pot her response was, "well, you're the ones eating it, so if that is what you want, you should order it". Not the same experience staff wise as last time but she warmed up later in the meal, who knows, maybe just having a bad night. Foods great, it is noisy/loud if seated indoors but we loved the outdoor patio. Will definitely be back. Service was a bit slow, distracted waitstaff, but they tried. Loved this spot! In town for a college visit and found this restaurant on Trip Advisor. Small but great atmosphere! The food was incredible!!! We split almost everything so we could try a lot of different things bc it all looked incredible! Never disappoints! Although the menu is limited, it’s all you need to have a great seafood dinner. The oysters are fresh and served perfectly. We had the Char and the Swordfish - both were beautifully prepared, and delicious. Wonderful restaurant, beautiful food! We made reservations for 5:30 and were promptly seated at our table. We were lucky enough to be in time for “happy hour “ and had wonderful oysters and drinks. The food and service were top notch. We and our friends will definitely return. The service and food were both outstanding. Highly recommend the Arctic Char...one of the best fish dishes I have ever tried!! A masterful blend of flavors and texture. Amazing Food. Creative menu. All seas food was fresh and excellent quality. Make a reservation. I took my wife to this restaurant for her birthday dinner. Since we both had heard good things about this place, I was hoping it all was true. I. Poked my reservations a week + out. We was running 15 minutes late and would not make the original reservation time. No problem, a call to the restaurant and they was able to accommodate our later arrival. On to the food, nothing disappointed. The steamer pot and artic char was excellent. Only complaint, some of the Brussels sprouts bordered on too burnt. Most was really good, but some was really black. We will be returning here! This is seafood at a much higher level. A chalk board details the fresh oyster selections of the day. 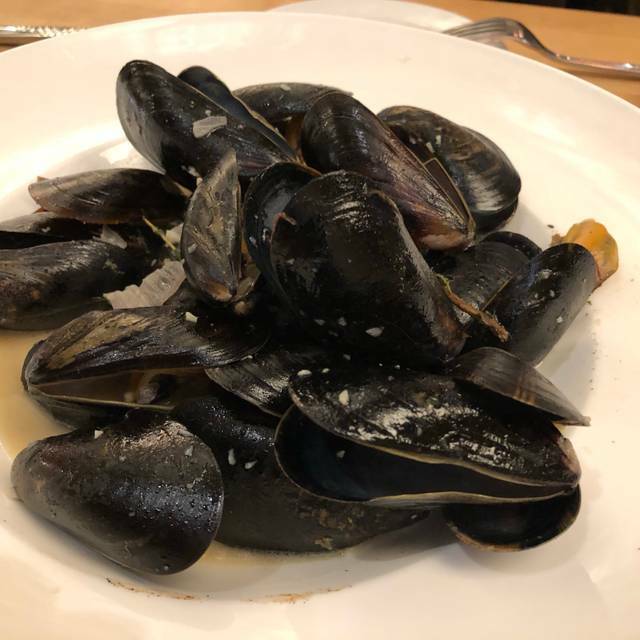 The mussels were very fresh with a choice of wonderful broths. Do not miss an opportunity to eat here! Our waitress was busy but had such a kind soul. I hope she is our waitress on our next visit. On this day they had a great selection of oysters and service was very good. A quaint location with friendly staff... I'm still having dreams of that AMAZING lobster roll!!! I'll be back!!! Had an AMAZING dinner with several friends at Public Fish and Oyster on Tuesday night. Wow! Outstanding - not just for the food (oysters, scallops, everything was sensational) but the staff are exceptional — especially Melissa. She’s a rockstar! Thank you for making our evening so special. I will certainly shout from the rooftops that people should visit Charlottesville just to go to your restaurant. And I will be back next time I am in town. Brought my wife here for her birthday. Great food and service. We really enjoyed our evening. Very attentive waiter! What a wonderful restaurant. It is fun, food is incredible, and our server was just amazing. Lovely menu, with everything very fresh and prepared to perfection. I can not wait to go back again. Great birthday dinner for our party of 9. Patrick was very attentive to all our needs, even taking care of refills for our kids & making sure their needs were met. Food was delicious, we ordered oysters, several pounds of shrimp & crab legs, generously portioned & delicious. I’ve been here on one other occasion with friends & have had consistently great experience. Unbelievably delicious! Everything was perfect! Reserve your table early, we almost missed out on this amazing restaurant. ‘Angels on Horseback’ appetizer and the PFO pan roast were the big winners, and I would say a must try. Main dish scallops were excellent as well. Bonus, happy hour priced drinks (well) from 4-6! Top notch! This restaurant was quite the surprise. 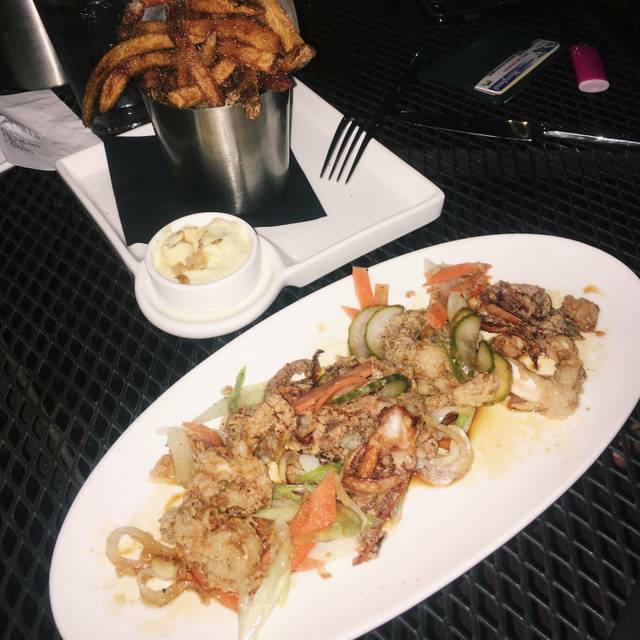 I'm from Boston and their food was as delicious as any quality seafood restaurant in the Boston area. We had the diver scallops which were cooked perfectly and the PFO pan roast which was tasty and so delicious on a cold rainy day. The server was perfect and the ambiance was charming. The host was kind and friendly. Ambiance and service was great. 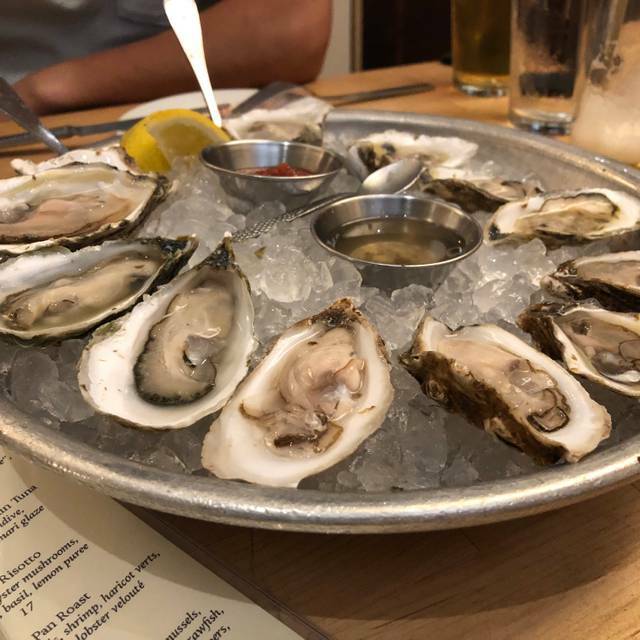 Server was good but he failed to give us the happy hour prices for the oysters, which we figured out after over hearing the server explain this to the newly seated group next to us. No biggie. Ordered a few starters and entrees. The moules frites looked good at other tables so that was something we ordered. My girls enjoyed them in brussels so they were looking forward to it. Unfortunately, we got half the serving size of frites that other tables enjoyed. I dont normally compare but the slight was significant. The mussles themselves were wonderful. My crab legs were very miniscule and overcooked. Rather than one complete cluster I was given 2 small with missing legs. Overall, I think I will go back and hopefully get the same product at the same cost as everyone else. Great service, fab food, what could be better? The best seafood restaurant in C'ville! Hard to get reservations. Excellent food and service. Will definitely return and recommend to family and friends. Great dinner, great service, great food. Excellent fresh oysters, perfectly shucked. 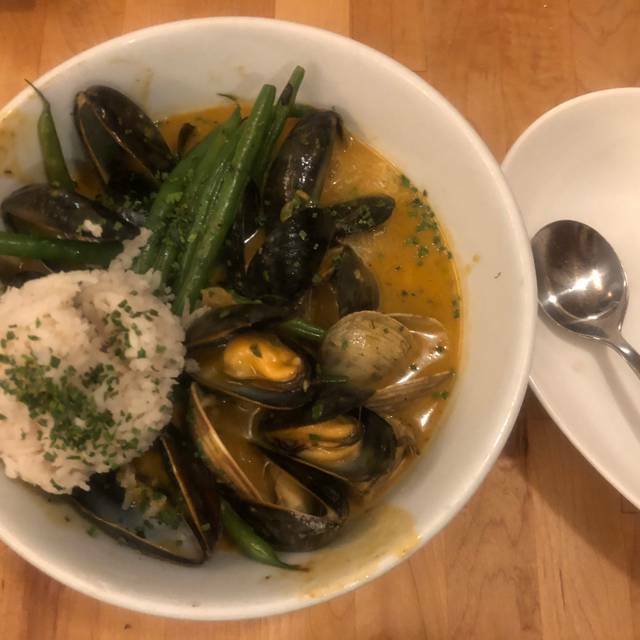 Delicious mussels with lime/coconut milk broth. Also excellent martinis, fried oysters, and pan roast.